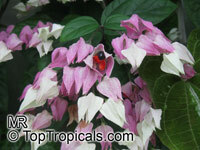 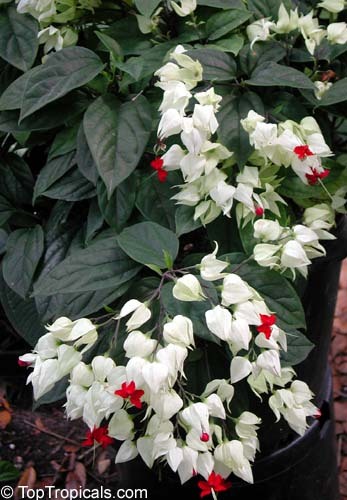 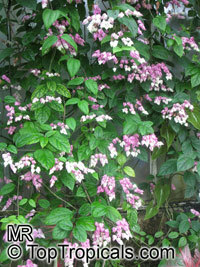 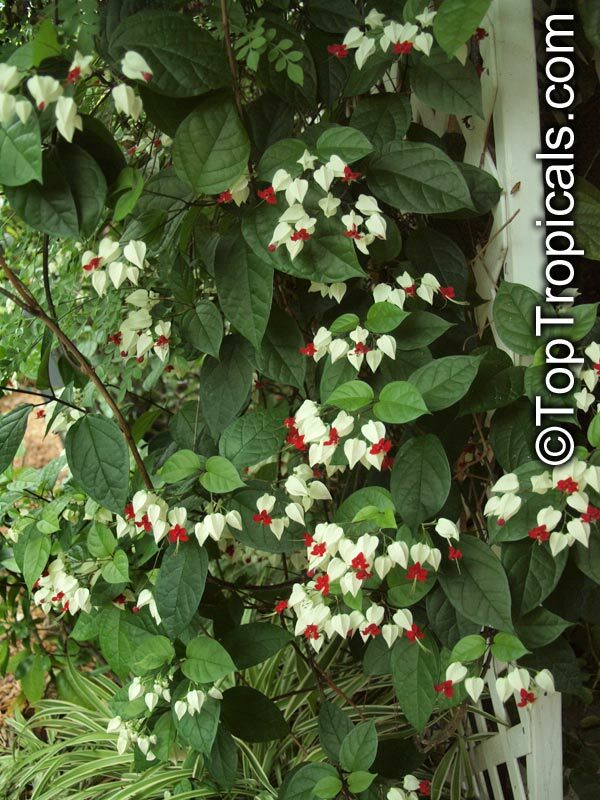 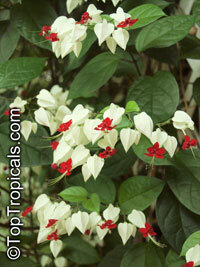 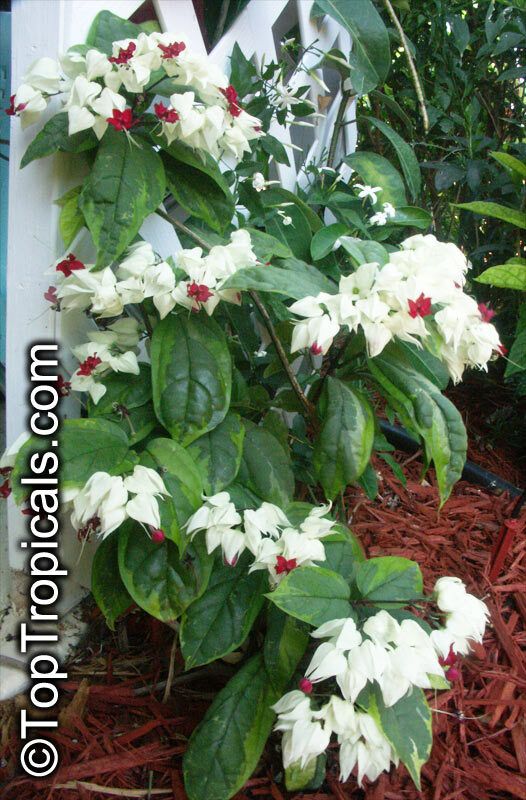 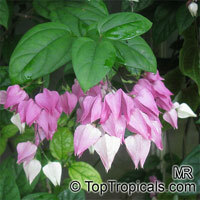 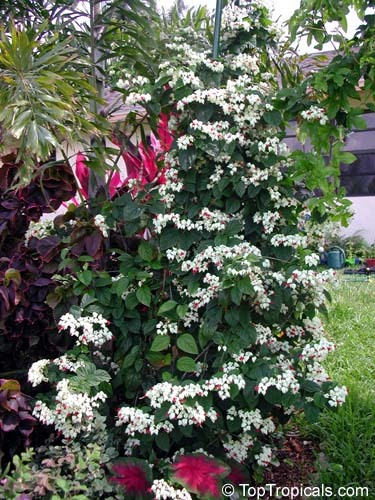 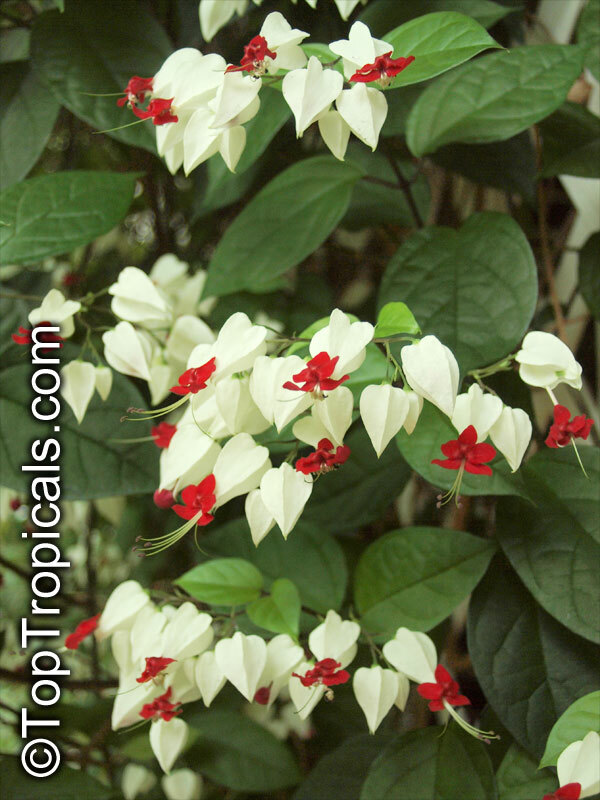 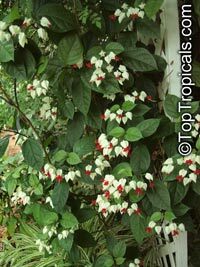 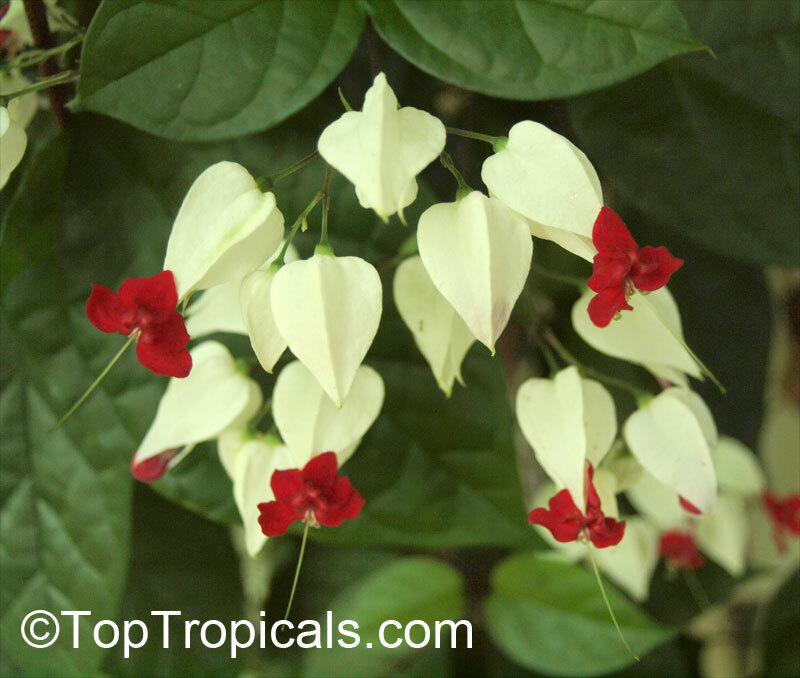 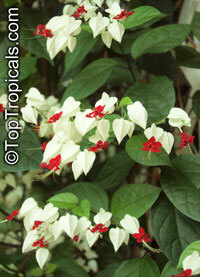 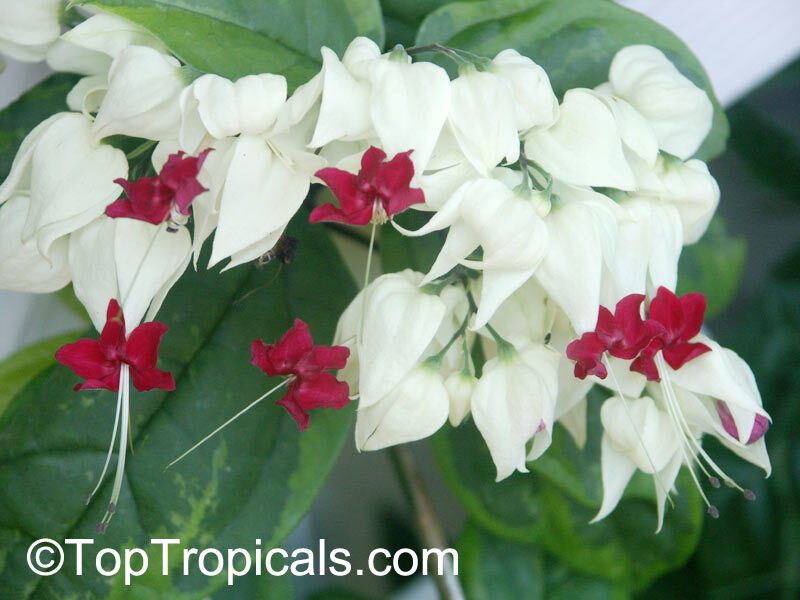 Attractive bushy, tropical looking twining vine. 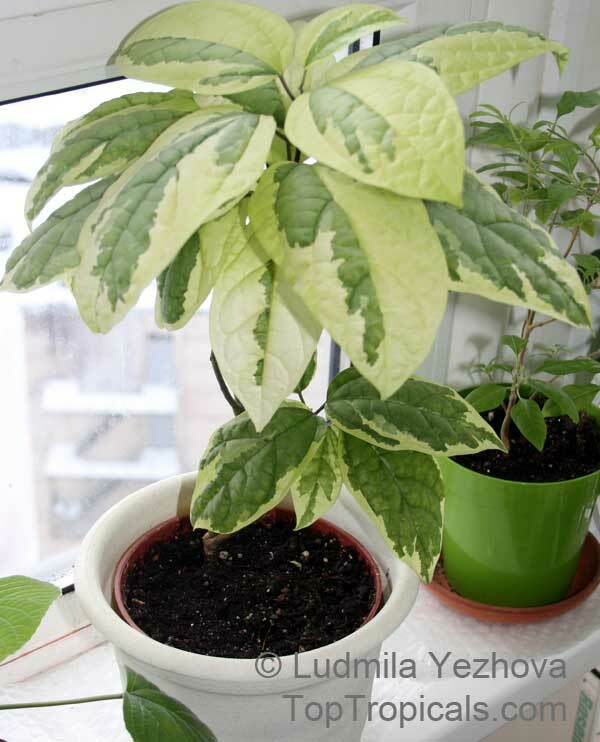 Glossy dark green leaves are from 5 to 7 inches long (18 cm). 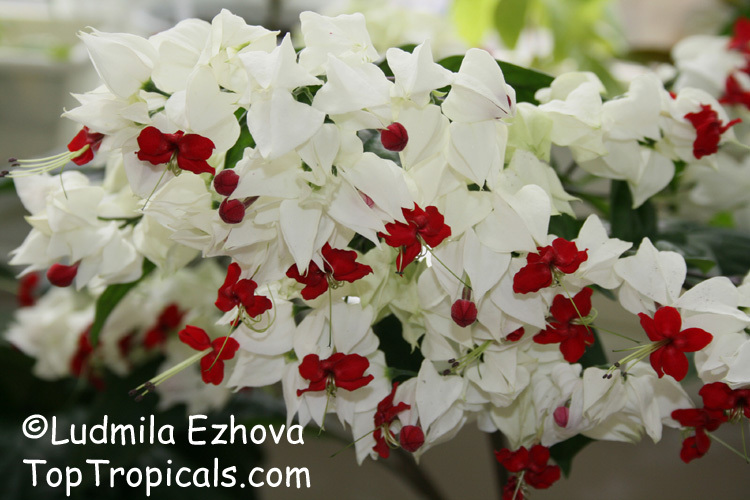 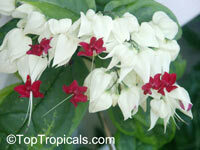 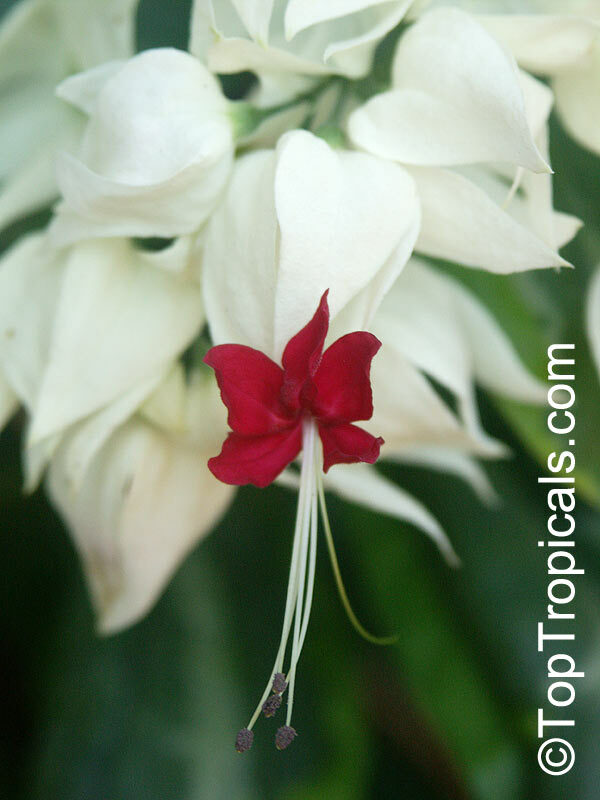 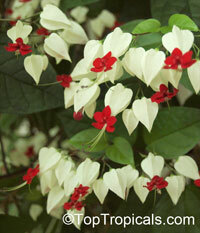 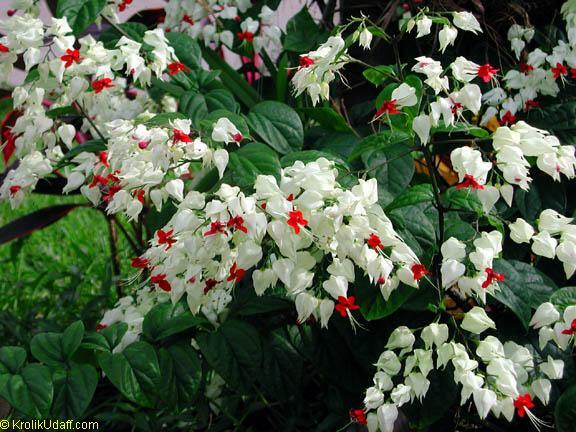 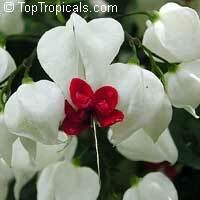 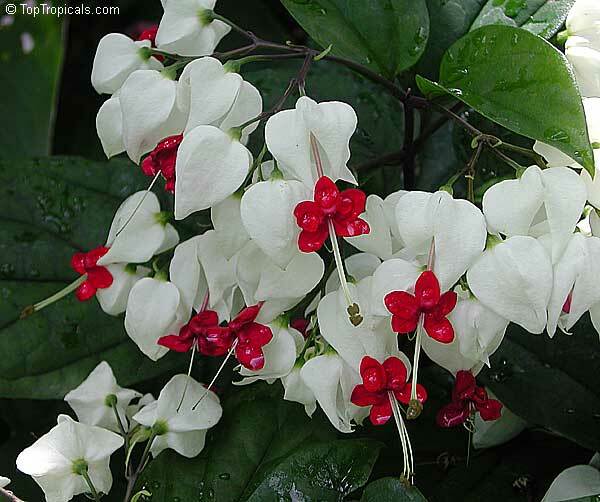 Spectacular, dramatic flowers are slightly flat, they have white sepals on either side of bright crimson petals. 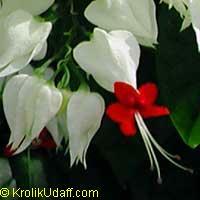 The appearance may be liken to a line of dangling hearts, each emerging from the other. 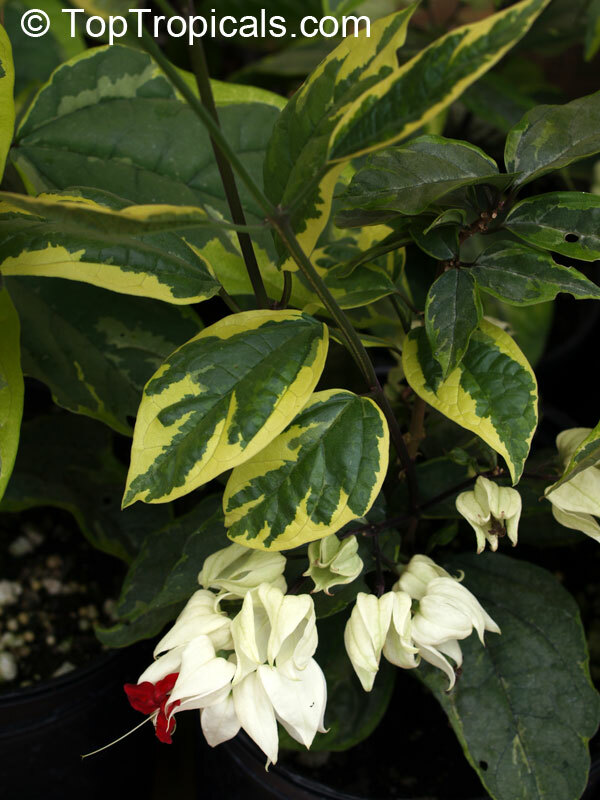 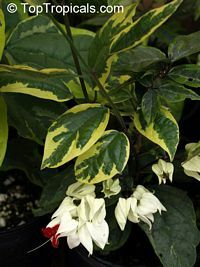 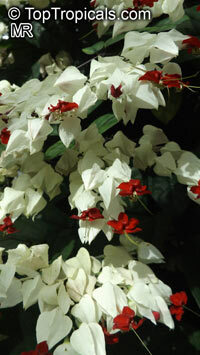 This plant is often seen in pots where it will abide in a continual state of flowering. Often, fruits develop. 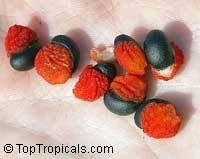 Green at first, they blacken as they ripen. 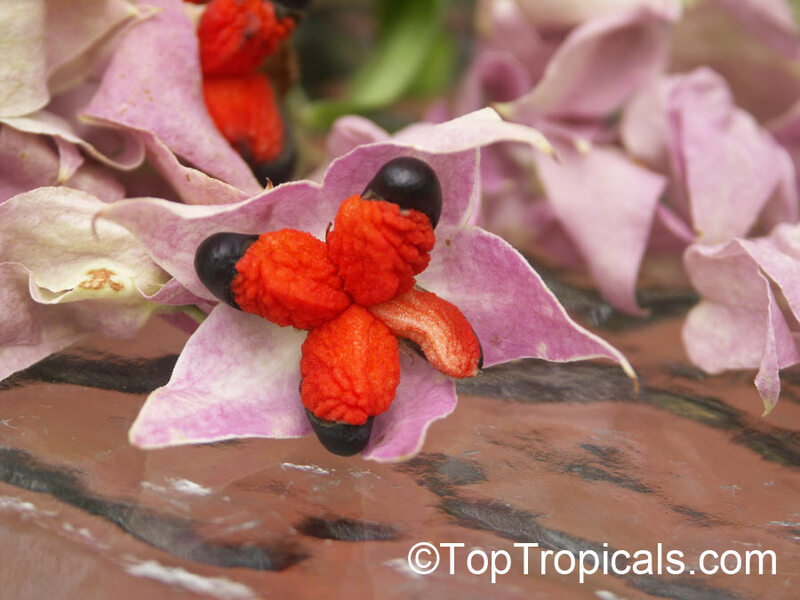 Then, they split open from the top to the bottom to present a bright orange fleshy lining that contains four black seeds. 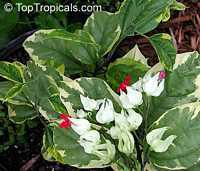 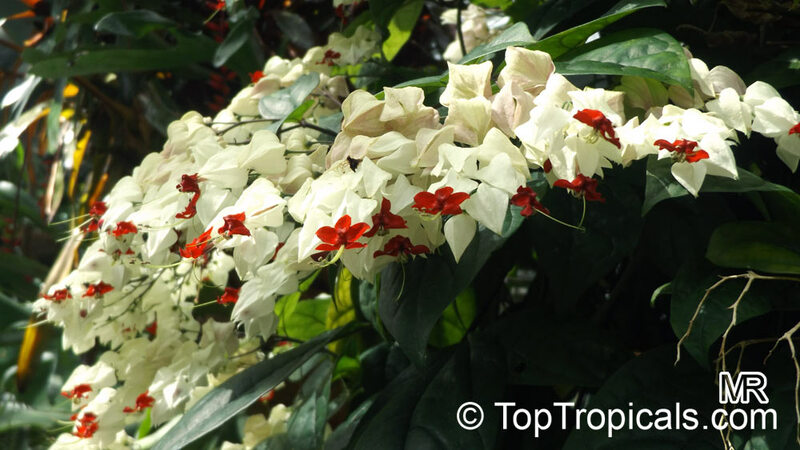 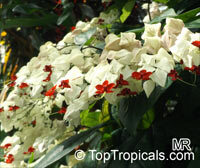 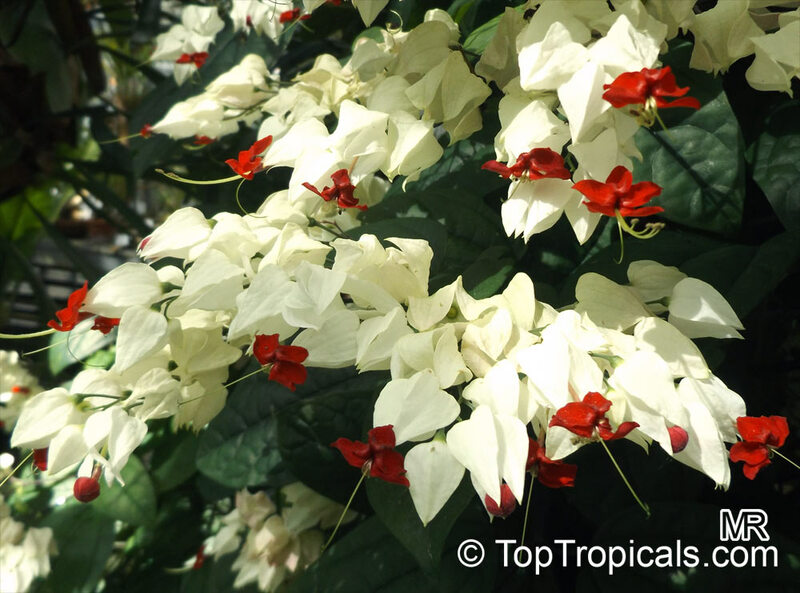 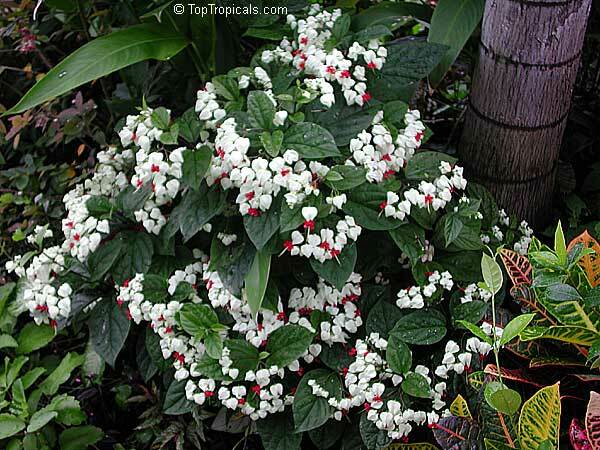 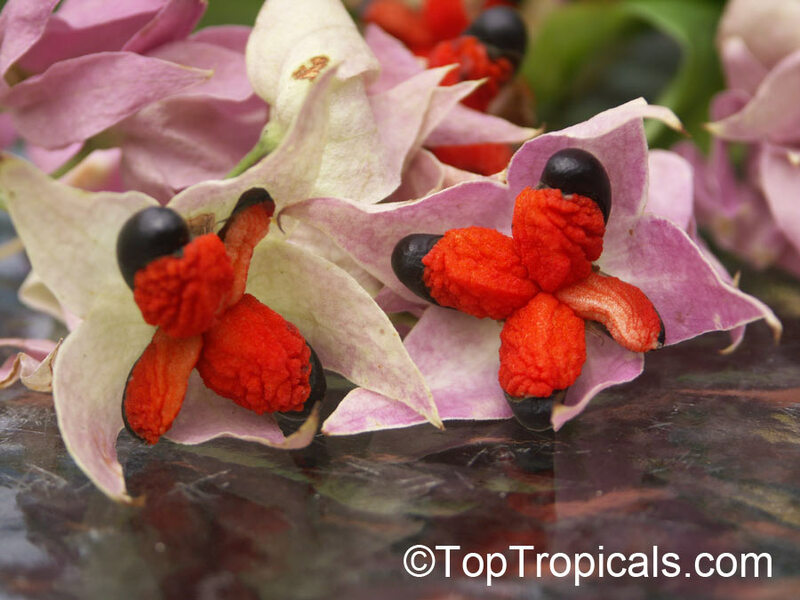 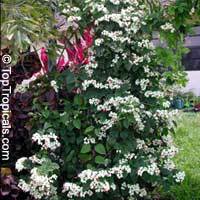 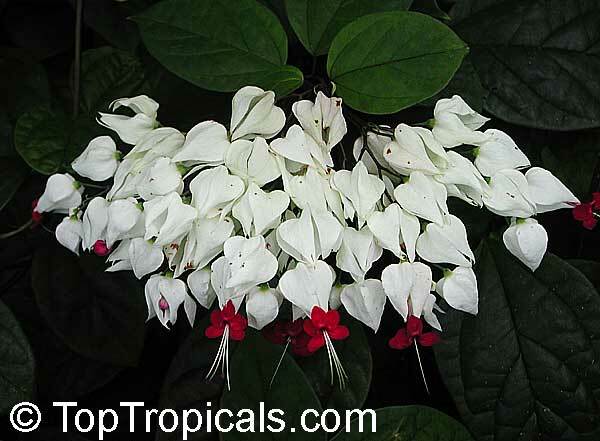 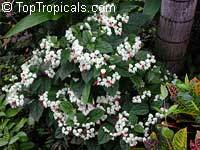 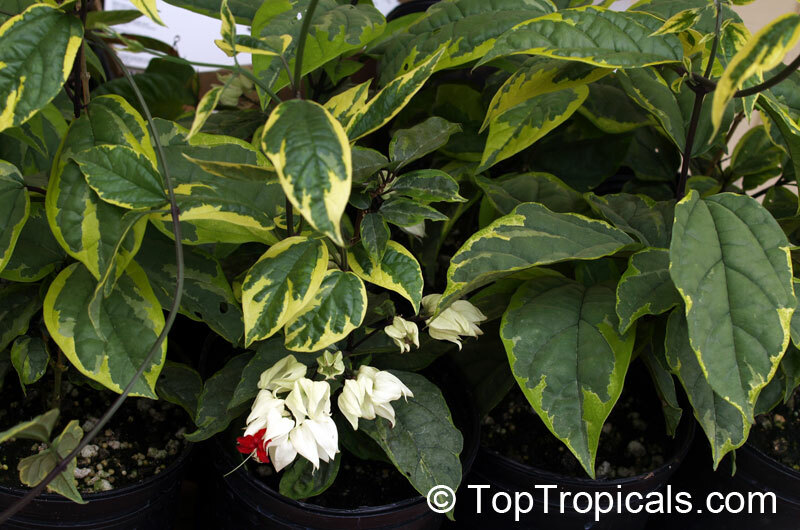 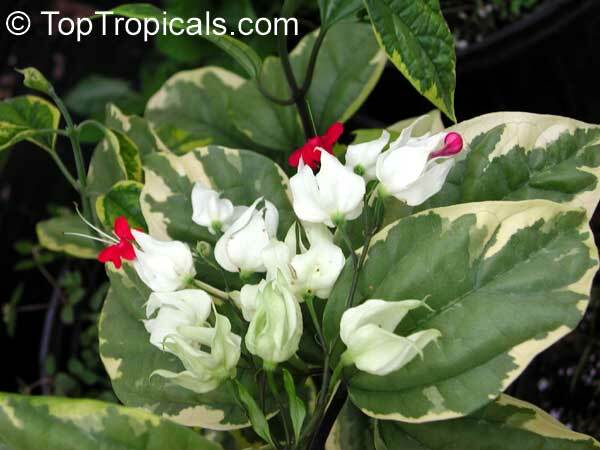 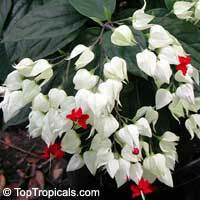 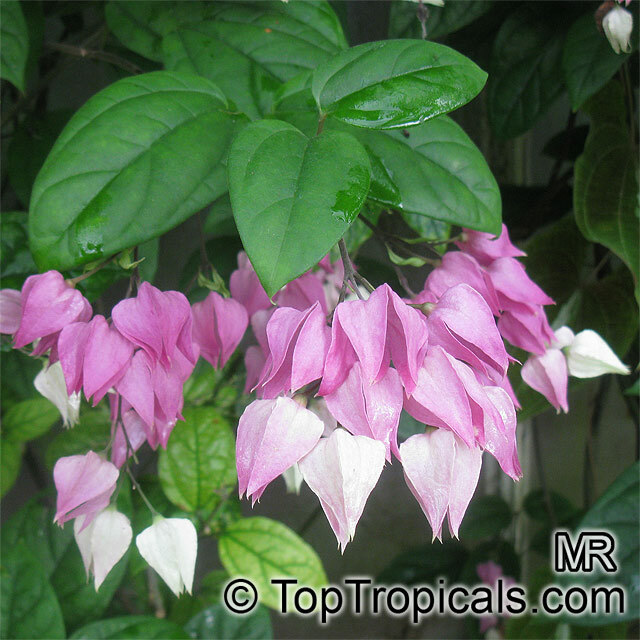 Blooms mostly from April to October-November in natural conditions of tropical climate. 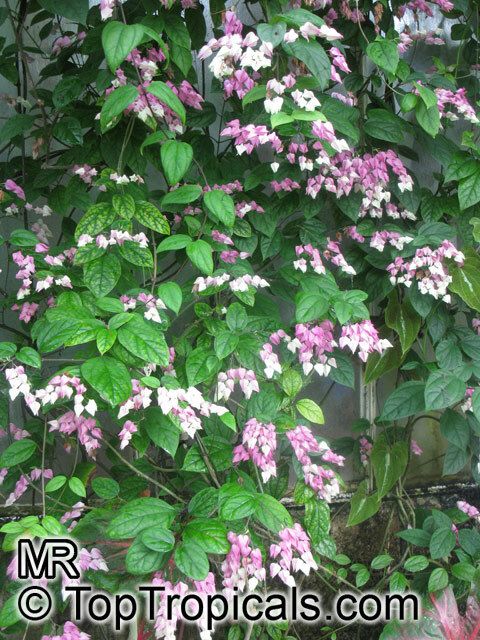 The plant drops some leaves (not all of them) in winter, and has some flowers (not much) even during the winter time. 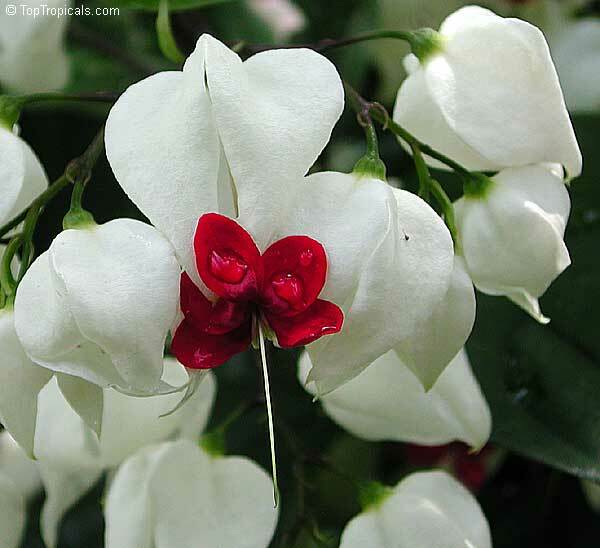 As long as you provide lots of light to it, it'll bloom most of the time.